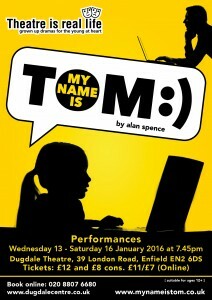 Theatre is real life is pleased to announce dates for their first London production, My Name is Tom at the Dugdale Centre, Enfield for 13th – 16th January 2016 at 7.45 pm. My Name is Tom. permalink.